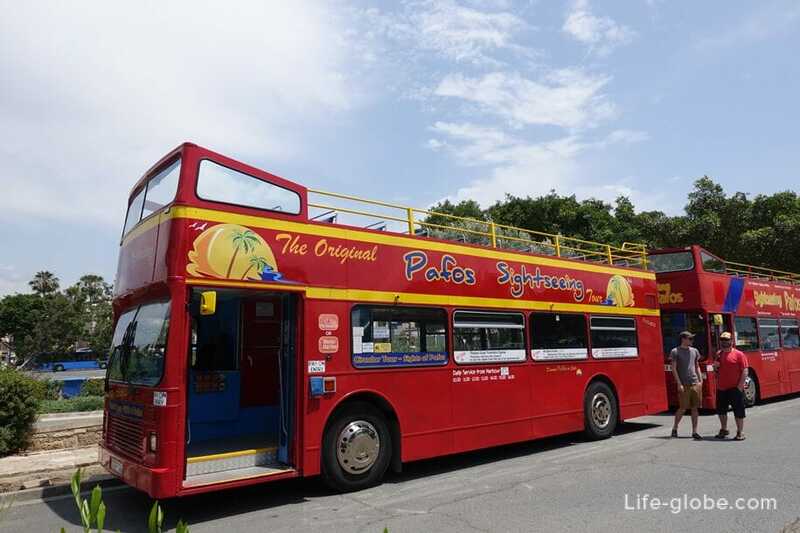 Excursion buses in Paphos (Pafos Sightseeing Tour) - buses in Paphos and created with the aim of exploring the main attractions of the city. Bus tour of Paphos can be a good option, giving you the opportunity to visit the most important places in the city for a short period of time. Buses are red in color and two floors, where the second outdoor with panoramic 360-degree view, and the first one closed. 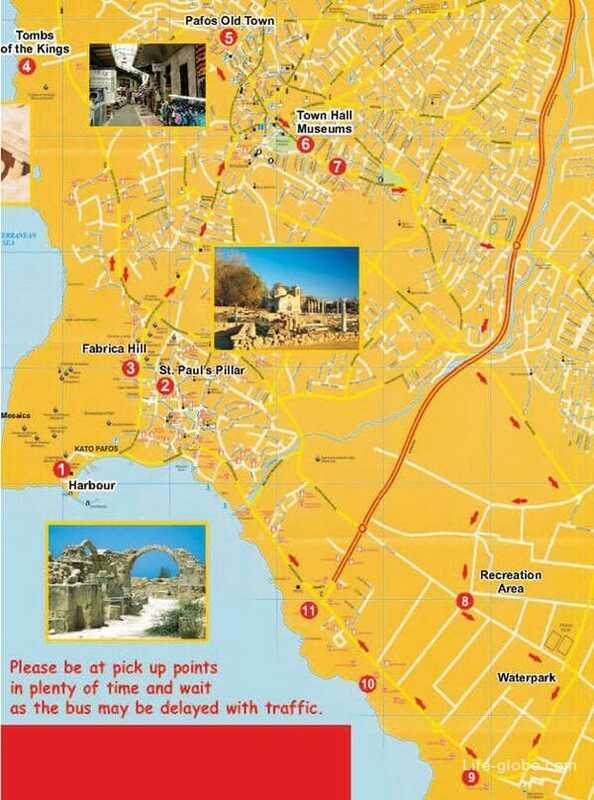 Buses run a circular route, during which make 11 stops near the most famous attractions of Paphos. The route starts near the bus station, the Harbor (Harbour), near the main promenade of Kato Paphos. These red buses is impossible not to notice. - special offer for families (two adults + up to three children) - 29 Euros. - special offer for families (two adults + up to three children) - € 35. Tickets can be purchased at the entrance to the bus. From April to October. First tour at 10:00, last at 16:00 hours. Frequency - every 60 to 90 minutes.